Lending itself to a relaxing vibe and calling for elegant touches, Sunday weddings are gaining in popularity. Check out these unique wedding ideas that will give your guests an incredible daytime wedding experience. 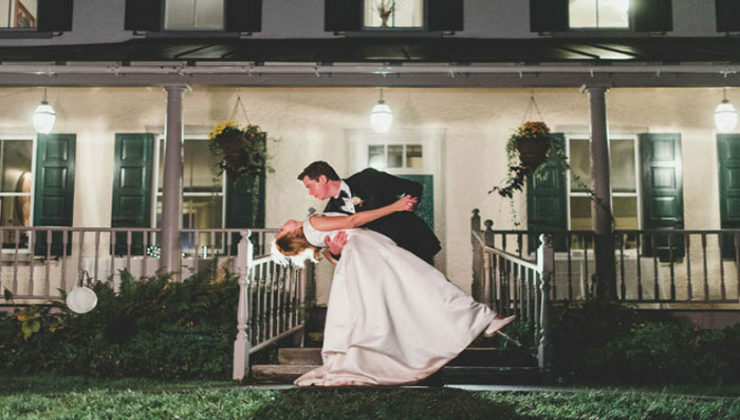 The WeddingWire Awards Confirm Us a Top Philadelphia Wedding Venue! Thank you to all the couples who left reviews on WeddingWire, placing us among the top 5% of its wedding professionals. The idyllic spaces and exceptional service guests enjoy at SMF is too perfect of a wedding package to be kept a secret! We consulted with trusted professionals to find out what characteristics to look for in a Philadelphia wedding location. Not surprisingly, a premier wedding venue such as Springton Manor farm is filled with custom amenities that bring wedding dreams to life. Sometimes straying from tradition has big rewards. And this is absolutely the case for couples who consider these unconventional wedding reception ideas. See how you can reduce your wedding costs while sharing your unique style with guests. It is all the tiny details that come together to create exceptional weddings at premier Philadelphia venues. That is why these experienced wedding planners share their must-haves that complete your wedding vision and free you of worries. What can you add to a Philadelphia wedding venue that already has plenty of historic charm and natural beauty? Your personal touches and surprises that delight guests from the moment they step onto the lush lawn of Springton Manor Farm!